ASTRALCOM Achieves Amazing SEO Rank for Client Konnect PR | ASTRALCOM - Content Strategy, Conversion Marketing and Customer Acquisition. 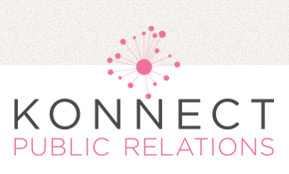 ASTRALCOM’s SEO services landed our client, Konnect Public Relations, a page 1/rank 1 SERP for the keyword “PR Agency.” Of course, this didn’t happen overnight. 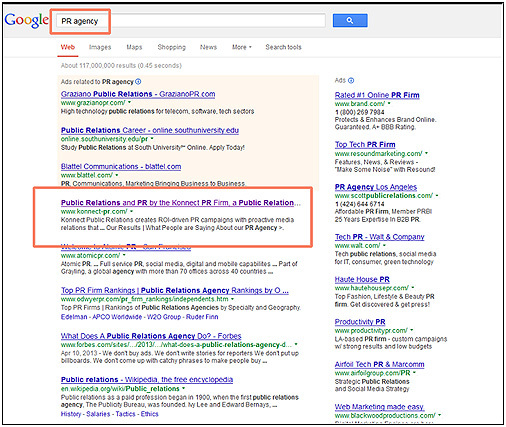 Only through long-term SEO efforts, did we achieve this positioning for our client. Interested in achieving outrageous placement for keywords that are relevant to your business? While we cannot guarantee page one results like this, we certainly strive to do so. Give us a call today! New Flyers and E-Blasts for Schaeffer Family Homes!